She uses her experience as a former assistant city prosecutor and litigator to fight for her clients, whether that is at trial or for the best possible plea agreement to minimize jail, prison, or probation. 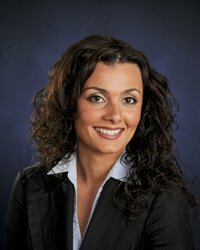 As a litigator, Valentina Lucaj has an excellent working relationship with prosecutors and courts throughout Michigan. Her knowledge of the law and her familiarity with the court system allows her to achieve the best results possible for her clients. She has integrity, credibility and experience. Ms. Lucaj possesses a vast wealth of knowledge and has a proven record of providing indispensible advice to clients and delivering positive outcomes. Her specialties include general litigation (civil and criminal at all levels, practicing in State and Federal Courts.) Ms. Lucaj serves as legal counsel for individuals and private corporations during contract negotiations and contract formation. She advises companies from the start-up phase through all levels of expansion.